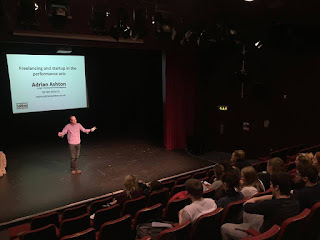 I've always been a keen proponent of enterprise education in all its forms, and for all ages too - not just for the sake of encouraging more start-ups, but because I think it can offer genuine benefits in whatever we choose to (or find ourselves doing) in the future. 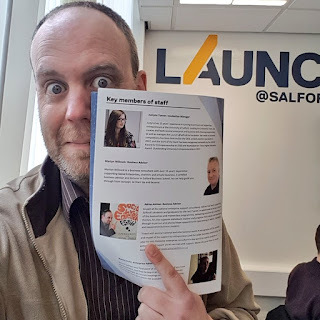 As part of this, I've always sought to work with Schools, Colleges, and Universities - one of which is Salford University, with whom I seem to have built something of a long-term relationship, as I'm now well into my 7th year of them asking me back to work with their subsequent intake cohorts of undergraduates. The design of their offer to students who are interested in exploring and launching their own enterprises has changed over the years - including seeing more leaders of courses and schools within the university becoming more interested in 'exposing' their students to speakers like me to help them better understand 'the enterprise option'; (I've always especially liked it when the drama school asks for these as it means I can perform my 1-man startup show on a proper stage!). 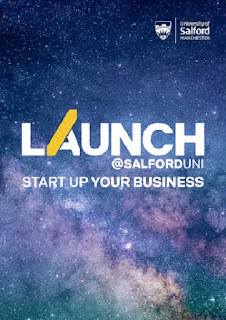 But perhaps most excitingly, the university's enterprise team has recently launched a dedicated accelerator on campus, branded 'Launch'. And rather than assume that just because they have a business school and an MBA programme they know what the best content to teach and offer through it would be, they've linked in with the Growth Hub, Santander, and others to offer students a more rounded, complete, and stronger support offer. Fortunately for my own enterprise practice, they've asked me to reprise my role as a mentor and adviser to some of the latest cohort in the accelerator, to which end the University recently invited me to the launch of their latest Launch programme. 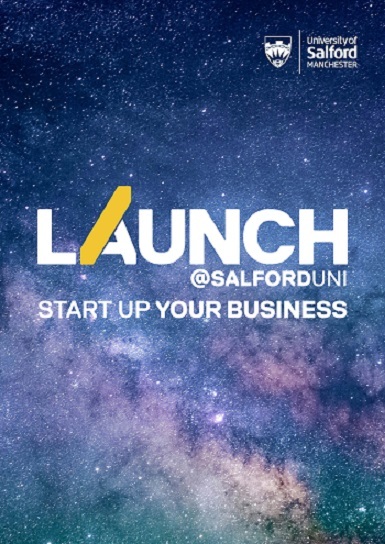 And as for the key message to these start-ups: "be a sponge (of knowledge and ideas), rather than a sponger".